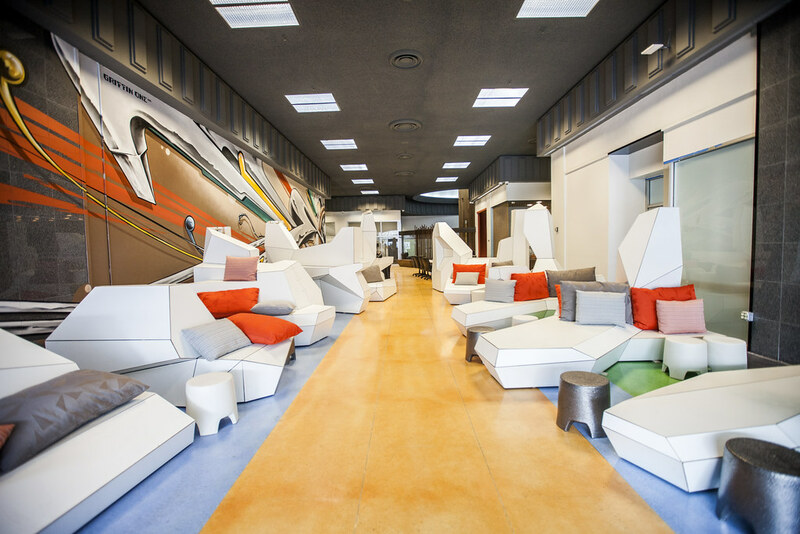 As an Architectural Design-Build Studio, We love leveraging technology in unique ways to make our latest designs into real, physical pieces. While we've developed a decent amount of in-house software and tools over the years, we're still very excited about our latest software toolset BecauseWeDynamo. We have mentioned this tool set before on our blog, but with the latest project we've completed, some great edits and changes have been made, so it is worth mentioning again. Rather than write code from scratch where the ‘flow’ of the program is abstract and non-visual, or call on existing libraries, and produce a stand-alone application like a software developer might, tools like Project Dynamo let you ‘draw’ your program and lets us easily create one-off workflow solutions to automate small repetitive tasks and model impressively complex objects. This is perfect for visual designers like us! By connecting various ‘nodes’ together, we can ‘wire’ together a solution for project-specific problems, iteratively working our way through designs as the code runs live, seeing the immediate results. 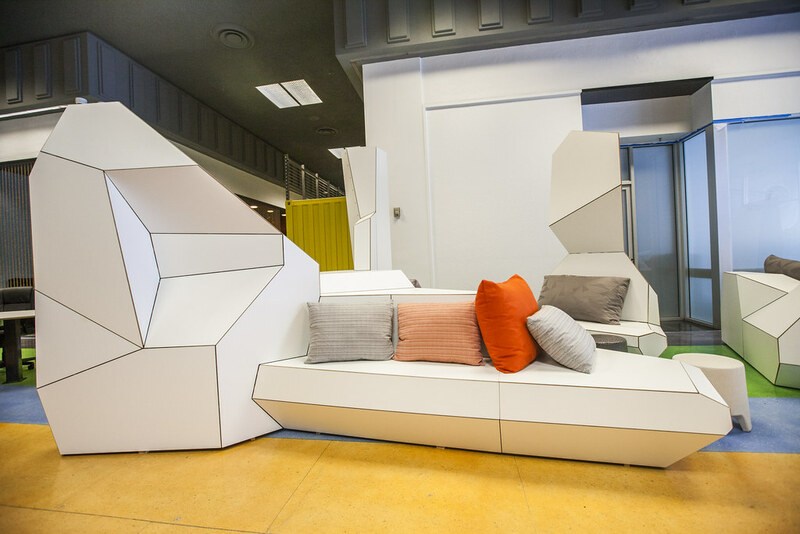 Most recently we used this tool set to create a sea of complex, faceted furniture for one of our recent projects: The Port Workspaces at The Kaiser Center. The sea of 'Icebergs', as we came to call them were very complex, and each one completely unique. 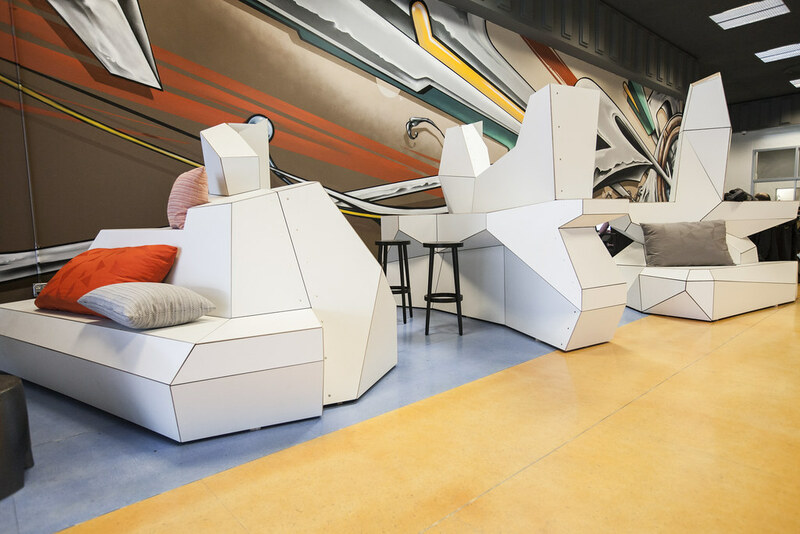 The Icebergs, designed and fabricated using white laminate, were created to provide a combination of lounging, sitting and standing meeting & work space. No two of these units are the same. We designed the brackets inside the units so the clean form is all that is visible. 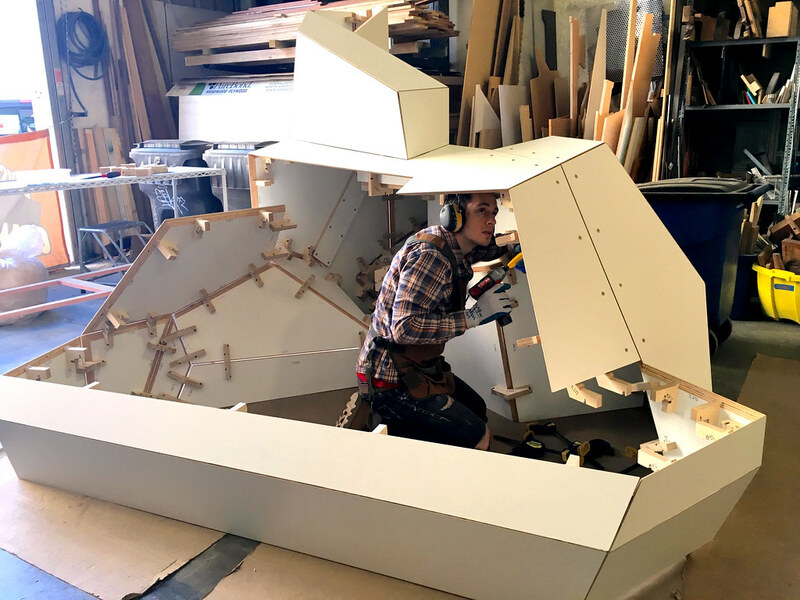 Using our scripts we were able to quickly make changes to these forms as the fabrication & design iterations progressed to allow for an organic building process. We modified the designs as we built the units, fixing and foreseeing issues with a “just in time design” building process. This project, like most of our projects, was designed and fabricated in our in-house design studio and fabrication shop using our robust BecauseWeDynamo tool set combined with our CNC machines. The video shared here (at the bottom of the post) shows one of our CNC machines numbering the pieces before cutting them out. 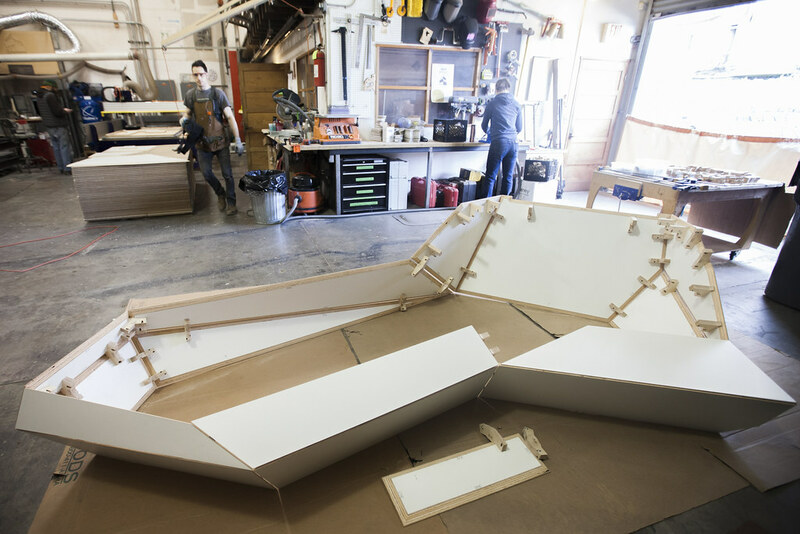 Our ongoing goal with this Dynamo project is to make the fabrication of elements easier and more efficient, thus empowering all designers to be able to make great things like we do! 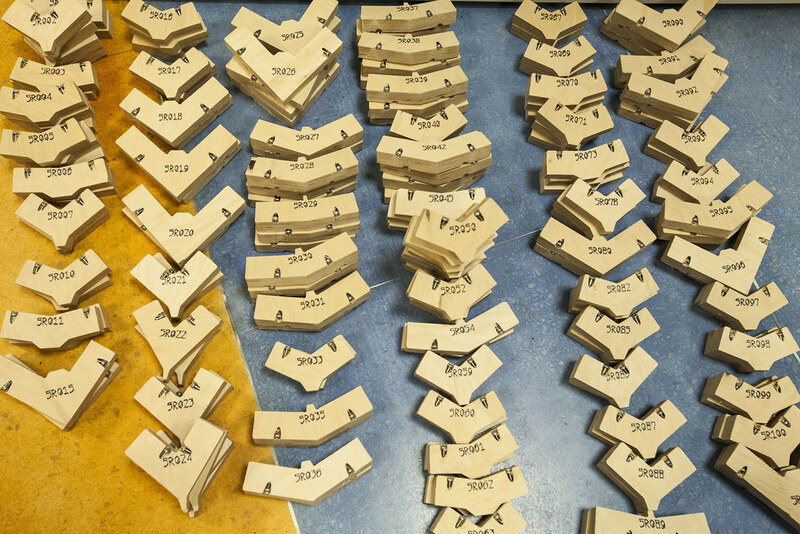 One thing our custom programming helps do is parse the design model, label every shape, lay them all out flat, and then export them to digital fabrication production. 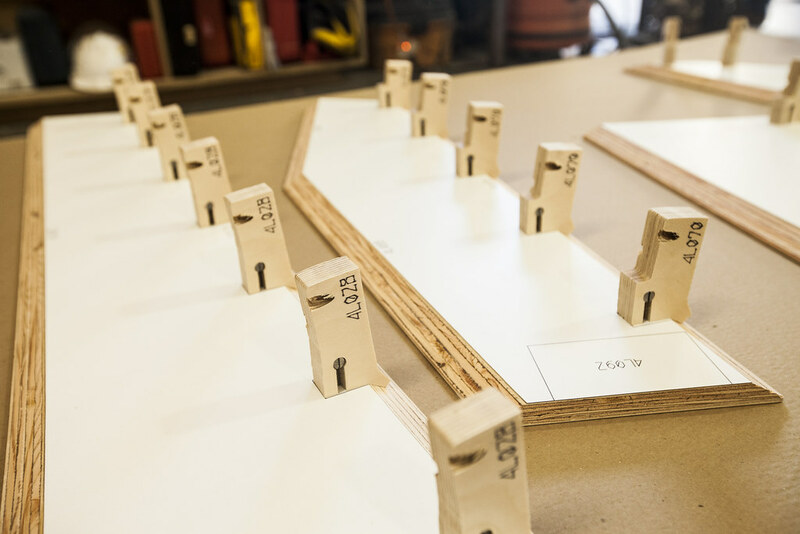 For this particular project, it created the brackets and numbered them for location placement. It made short work of these laborious tasks, and helped us fabricate these wonderful and complex designs efficiently and effectively. 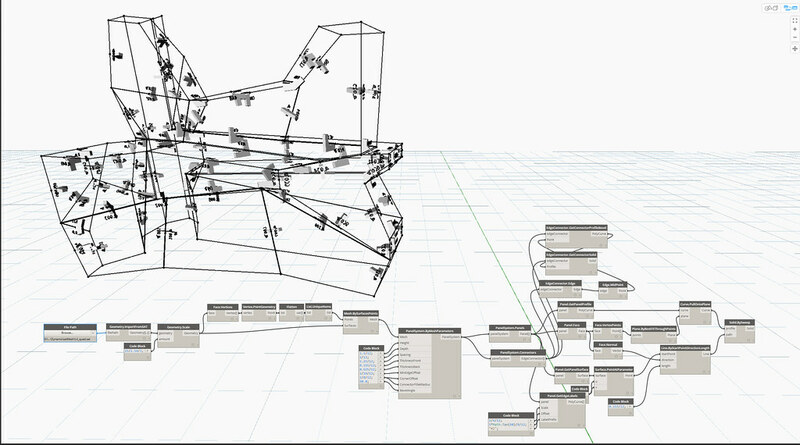 Within BecauseWeDynamo you’ll find programs for part labeling, DXF exporting (with proper true curves! ), mesh topology walking, edge labeling, and even our own custom old-school line-based pen-plotter style font suitable for CNC production. We’ve even got some auto-sectioning tools (like 123D Make! ), and are currently working on Nodes to help automate shop drawing production and development of complex surfaces. Releasing our code openly on Github allows others to experiment as we are, and the code will come back to us with improvements and ideas that we would not have thought of ourselves. Our toolset can be found through Dynamo through the Package Manager as BecauseWeDynamo, and the open-source code is hosted here on GitHub, which allows anyone to use it, change it and share it again, as an ever evolving tool set. You’ll find on the GitHub site some great working examples, and we’ll be developing more samples & how-tos.